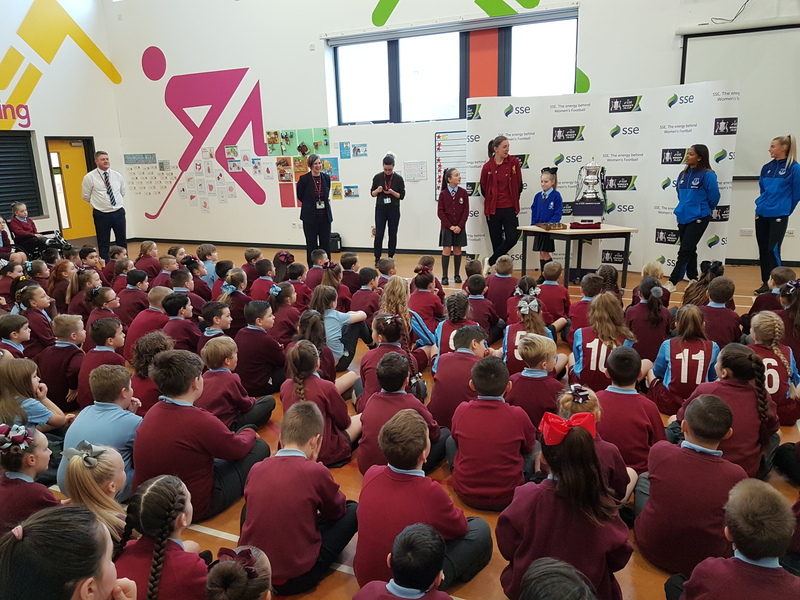 Park Brow Primary School had a visit from the Football Association and CBBC Match of the Day Kickabout as they hosted the 5th Round of the SSE Women’s FA Cup draw. Year 6 pupil and Head Girl Lilah and Lily-May were chosen to make the draw live on Twitter. In a special assembly which saw the girls make the last sixteen selection, special guests Liverpool Ladies goalkeeper, Siobhan Chamberlain and Everton Ladies Taylor Hinds and Chloe Kelly presented certificates for attendance and outstanding work. Following the draw, the guest joined the girl’s football team for a special coaching session.